Categories: Adoption Parenting, Adoption Professional Basics, Agency Essentials, Attachment Disorder, Child Care & Parenting, Infant Care and Parenting, Multicultural Families, Siblings in Adoption, Tapestry Picks, Teen/Older Children, The Adoption Professional, Transracial Adoption. Welcoming a new child into the home through adoption is a life-altering experience — for the child, the parents, and everyone else in the family. Expectations and realities often differ dramatically, and adjusting to the change can be difficult and emotionally painful. Since the majority of children available for adoption today are in the system as the result of abuse and neglect, parents must acknowledge the fact they these young innocents will carry their trauma with them into their new homes. A willingness to address the not-so-easy, didn’t-see-that-coming aspects of adoption is the first step toward building a strong family. 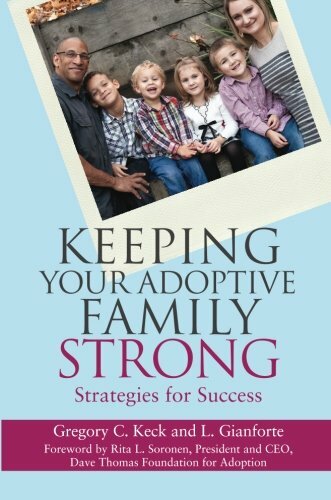 A valuable resource for parents and professionals, this book provides useful strategies for facing the challenges posed by adopted children. The inclusion of real stories from real people adds heart and encouragement, offering hope for the future of the entire family.